V2X technology would improve safety by allowing vehicles to "talk" to each other and ultimately avoid many crashes altogether by exchanging basic safety data, such as speed and position, ten times per second. 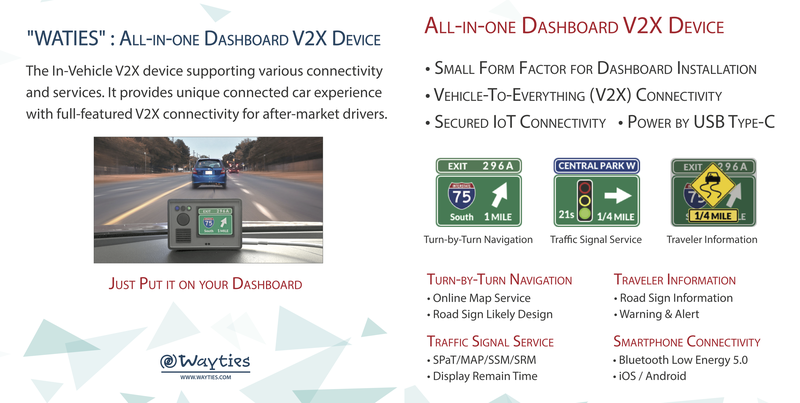 V2V communications can detect threats hundreds of yards from other vehicles that cannot be seen, often in situations in which on-board sensors alone cannot detect the threat. is the engineering tool sets for data gathering, management, analysis and testing of V2X field test. • Steve Kwon (CEO) gives a talk at Automotive Linux Summit 2017 about "Wireshark packet dissectors for the latest V2X message protocol"
© Copyright 2015-2016. Wayties Inc. All rights reserved.